It is against the law for employers to discriminate against certain protected groups of people. Among these protected groups are pregnant women. If you are pregnant or plan on becoming pregnant sometime in the future, your boss cannot discriminate against you for doing so. It is your right to become pregnant. We at the California Labor Law Employment Attorneys Group have many experienced pregnancy discrimination lawyers who are here to listen to your case give you the representation you deserve. Discrimination lawsuits are complicated procedures with limitations on time and documents, to ensure your case is settled in a way that benefits you, you need a pregnancy discrimination lawyer in Bakersfield, CA. Contact the California Labor Law Employment Attorneys Group, your pregnancy discrimination law firm, today to see what we can do for you. Where can I find a Bakersfield workplace pregnancy discrimination lawyer? Who is the best Bakersfield attorney with experience in pregnancy discrimination cases? If you believe that you have experienced pregnancy discrimination, contact our law office today. Under the Pregnancy Discrimination Act (PDA), pregnancy discrimination in the workplace occurs when a woman is treated differently or unfavorably because of her pregnancy, childbirth, or medical condition or operation that is related to her pregnancy. The woman can be an employee or an applicant. There can be no employment decision that is based on a woman’s pregnancy status. Employment decisions include such things like hiring, firing, pay, job assignments, promotions, layoffs, training, and benefits like health insurance, retirement policy, and other terms or conditions of employment. A pregnant woman has worked at her positions for years and is a great employee: she finishes all of her work on time, and she does it very well. She becomes pregnant, and her boss notices this. He believes that her pregnancy will affect how she does her job or believes that she will not be able to accomplish her tasks because of her pregnancy. Because of his discriminatory assumptions, he demotes her to a position that has fewer responsibilities. 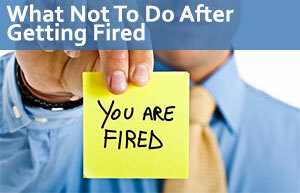 This demotion was based on the fact that the employee is pregnant and, thus, it is illegal. An employee who was pregnant required a medical procedure in order to save her life: The employer discovers the woman had the operation and fires her because of his antiquated beliefs. His firing was directly related to the woman having her procedure and is unlawful. She can file a lawsuit against him for pregnancy discrimination. If you believe that you have experienced pregnancy discrimination, then you need to contact our law firm today in order to receive the compensation you deserve for the damages you suffered as a result of your firing. All discrimination charges must follow a process before the victim can file a direct lawsuit against their employer. If you want to sue your employer, you must first file a charge with an employment government agency that is in charge of investigating the allegations of employer discrimination. In order to sue your employer for pregnancy discrimination, you have to alert the employment agency of their wrongdoing. Once they receive your charge, they will launch an independent investigation to determine whether or not your employer discriminated against you because of your pregnancy. In order to launch an investigation, as stated previously, you must submit a charge with an employment government agency. There are two available for everyone: the agency at the federal level and the agency at the state level. The Equal Employment Opportunity Commission (EEOC) is the federal agency, and the Department of Fair & Equal Housing (DFEH) is the state agency. When you file a charge with either agency, an identical copy is created and sent to the other agency. This is known as dual-filing and serves a couple purposes that benefit you. The first is that dual-filing will prevent any duplicate files which will deter any unnecessary investigations. With both agencies owning a copy of your file, the agencies can focus solely on conducting a thorough investigation of your complaint. The second reason is that it serves to best protect your rights to the fullest extent of the law. Federal and state laws do not always correspond to equal protections. Where federal laws may grant certain protections to certain classes of people, some states may grant such protections, and vice-versa. Some states may protect more classes of people than federal laws. When both agencies are involved, they will help protect your rights to the extent of the law. For example, if federal law protects a certain class but your state does not, then, depending on what sector your job resides, your rights will get protected. It is against federal law and California state law to discriminate against pregnancy employees and so you will be covered under both laws. Most crimes have time limits where one has to take legal action in order for the lawsuit to be considered valid. This time limit is known as the statute of limitations. The statute of limitations for employer discrimination is 180 calendar days from the day your employer first discriminated against you. If the discrimination is ongoing, then you have 180 days from the day you were last exposed to discrimination. Weekends and holidays do not stop the countdown, but if your last day lands on either a weekend or holiday, the statute of limitations will extend to the next business day. If, however, the state laws and federal laws prohibit discrimination on the same basis, the statute of limitations is extended from 180 days to 300 calendar day. Under both federal and California state laws, it is unlawful for employers to discriminate against pregnant employees and so you have 300 calendar days to submit your charge to either the EEOC or the DFEH. Filing a charge against your employer can be a very complicated process with much paperwork, deadlines, and necessary procedures through which you must go in order to file a successful claim against your employer. The best way to assure that your charge is legitimate and will be taken seriously, is to have a qualified lawyer on your side. They will guide you the whole way and offer the best legal counsel to benefit you. Our lawyers at the California Labor Law Employment Attorneys Group are here for you, the client. We offer free legal consultation for all of our clients, which gives you the opportunity to sit down with one of our experienced attorneys and iterate the facts of your case. They will give you their initial thoughts and opinions at no cost to you. The free legal consultation comes at no financial obligation on your part. We want you to have all the information you need before you decide on something as important and crucial as legal representation. In addition to free legal consultation, we give all of our clients the zero-fee guarantee. This means that you will not pay us for our legal services until we prove your case and get you the compensation you deserve. If we cannot prove your case, you will not pay us.